If you want stylish shoes that don't over do it, why not try Stacy Adams shoes. Stacy Adams has been a long time go to shoe brand for men who dress with style and don't shy away from style. 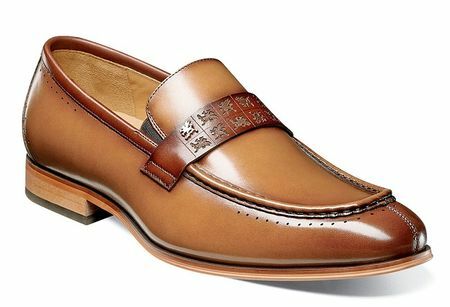 These exotic looking stylish penny loafers feature an Italian style with the penny strap that has the Stacy Adams emblem pressed into the leather is classy and unassuming way.